You have just purchased a house, it may have been previously occupied, and there may be several sets of spare keys in circulation. It won’t appease your mind thinking that some mischief monger may try to invade your privacy and safety. The very first thing to do after acquiring a home, office or apartment is to get all the locks changed. But is it wise? 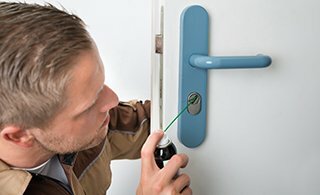 Lock replacement is an expensive affair and can consume most part of your day. You can get the same results by getting your locks rekeyed, which is much faster, convenient and economical. 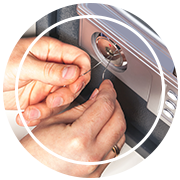 Experts from Lock Locksmith Tech’s re-key locks unit can assist you with rekeying services. On calling Lock Locksmith Tech in Sanford, FL area, for its rekey locks service, our technicians will examine the condition of the existing lock and if it appears to be fine, proceed to dismantle it. After removing the old pins and tumblers a new combination is fitted which opens to a new key, meant for that particular combination only. The lock may seem the same in appearance but rekeying changes its entire mechanism, thus any old keys become redundant. Locks can be rekeyed to a master key system as well. Most people try to save money by using DIY rekeying kits. Using tutorials and manuals they attempt the process by themselves and often end up damaging their locks further. Replacing a damaged lock would force you to spend more money on top of the rekeying kit you were duped into buying. We recommend anybody against DIY solutions as they not only prove ineffective but end up doing more damage to your property. Instead of getting misled by these tall claims, engage an expert locksmith from Lock Locksmith Tech to re-key locks professionally. Customers choose us because we are available 24x7 and can dispatch a team to their location even in the dead of the night. Whether you are facing a break in situation or are in need of an emergency eviction service, we are there 24x7 to rekey your locks. We also recommend our customers to opt for this service instead of the lock replacement service that costs more and has its own complication. 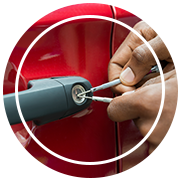 With the help of our extensive mobile locksmith operations, we can provide rekeying services at any location, adding to your convenience. Do you want to re-key locks in Sanford, FL area? Dial 407-520-3530!